Taking a winter trip to one of the snow-centric resorts along Colorado’s I-70 mountain corridor? Add a day onto your ski or snowboard vacation to see Black Hawk and Central City — two towns within a mile of each other and close to many of Colorado’s ski areas that offer a totally different kind of high-country experience. This canyon-cradled area 40 miles west of Denver was called the Richest Square Mile on Earth after gold was found here in 1859. After that discovery, hopeful miners began arriving in droves to make their fortunes. Many remnants of this era remain for today’s visitors to explore, and they’ll also find modern riches in casinos and luxury resorts set amid beautiful alpine scenery. Spend some time discovering the towns’ past and present treasures, which extend well beyond the glittering casinos. • See if Lady Luck is on your side at a few of the 26 casinos in the area, offering limited-stakes blackjack, craps, roulette, poker and more. In 2009, the casinos increased betting limits to $100 and began operating 24 hours a day. With these changes, many expanded their size and the amenities they offer, giving the towns an air of renewal. 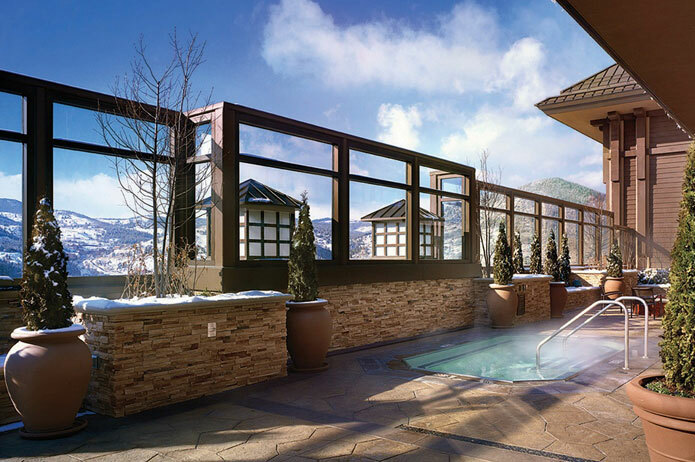 • Stay at Black Hawk's Ameristar Casino Resort, which boasts luxurious rooms and suites with Rocky Mountain views, a full-service day spa, a rooftop pool open year-round, four restaurants and an exquisitely appointed casino with slots, video poker and table games. • If you can pull yourself away from the excellent casino buffets, savor gourmet fare such as the double-cut Colorado lamb chops at White Buffalo Grill in the Lodge Casino or mushroom ravioli with Haystack Mountain Goat Cheese (Longmont) at Farradday's in the Isle Casino Hotel,. • Settle into a casino bar with a Colorado microbrew and check out the local music scene. Several of the properties host live music on Fridays and Saturdays that often feature bands from along the Front Range. • Tour Central City’s Thomas House Museum. The home, built by one of the first families to settle in the region, has been left largely in tact since the Thomases inhabited it in the 1800s. See their beautiful furniture and artwork, clothing, quilts and other personal items. • Visit the Gilpin County Historical Museum to learn about out the raucous days of Black Hawk and Central City’s past. • Drive the Peak to Peak Scenic and Historic Byway between Black Hawk/Central City and Estes Park. The 55-mile route brings travelers up close and parallel with the Continental Divide for a tour of ghost towns, mining relics and stunning views of Longs Peak and Mount Meeker. Learn about other gaming towns in Colorado: Cripple Creek, Ignacio and Towaoc.